Dead or Alive is a fighting video game series produced by Tecmo and developed by Team Ninja. 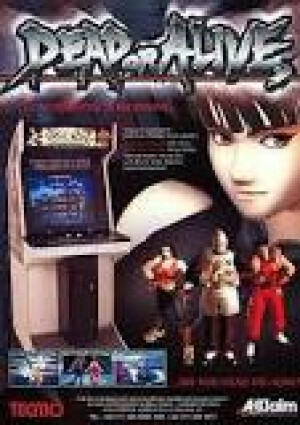 It is primarily composed of fast-paced 3D fighting games that begun with the original Dead or Alive in 1996. The Dead or Alive series focuses on fast-paced gameplay in a three-dimensional playing field. Like other modern fighting games that attempt to emulate real life martial arts, DOA's input system is designed so controls correspond game character's actions; if the character moves forward with a punch, the controls most likely would include the punch input and pressing forward on the directional pad. In comparison to others in the fighting game genre, such as Virtua Fighter, the series places emphasis on striking characters quickly and efficiently. There is an emphasis on quick combos and air-juggles since the game's countering system and fast recovery times prevent slow, technical sets of moves in most instances.